There are hundreds of good foods to keep you in good health. Many known vegetables are used in Chinese medical treatment (as herbal medicine). Garlics, gingers, onions, and bean sprouts are known and consumed daily in our daily dining table. These commonly known vegetables are good to keep our health in top condition. However, you might be riding on a wrong boat when you're eating these vegetables improperly. Although we are careful eating fatty foods, especially at old age, we still experience hypertension problems due to the high cholesterol contents in the blood. Doctors advise us to eat more vegetables with high fiber contents. However, eating a lot of vegetables seems to have no effect in reducing blood pressure. There must be something wrong with the advice. If these vegetables will prevent diseases, then no one should suffer among Koreans, Chinese, and Japanese who eat a lot of them daily. But simply, why hypertension alone can't be eradicated, even we eat healthy foods like mentioned above everyday? It's because doctors and qualified chefs don't tell you the how to cook them properly. You must know that eating only an á la carte dish won't answer your problems. You should eat all of these vegetables daily, then, you are on the road to your goal. But the most important thing you should remember is the quantity and proper way of cooking them. If you make a simple mistake in quantity of vegetables and the way of cooking, then, all of your effort will be nothing. Keep in mind that there are hypertension problems which are not caused by improper food intake and cholesterol contents in the blood. If you have no high cholesterol contents in the blood, yet, you suffer from high blood pressure, then, it is due to the negative energy. Ginger is good. In any form of cooking, you can eat it at least 1-3 cm size a day. 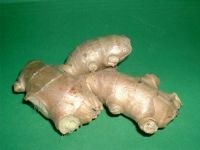 Ginger helps in activating the flow of sticky blood. Garlic is good, too. Most herbal doctors recommend taking a lot of garlic. Any form of cooking will do. 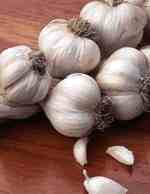 In my study, taking a lot of garlic increases your blood pressure. I do not recommend you to take more than 4 cloves of garlic. That's about one half size of whole garlic a day. Onion reduces high blood pressure in a short period of time (within 15 to 25 minutes). You can take as many as you like in any manner of cooking. However, you must slice it at first, and then keep it for about 15 minutes to one hour before cooking. Cooking it immediately after slicing will not reduce your body cholesterol amount at all. Bean sprouts are good food for all. It helps the flow of blood if you take daily. It is also a recommended food for young baby-bearing mother. It is a good source of Vitamin E, too. Tofu (bean curd). It is available anywhere in big markets. This is one of the best protein sources of nonfatty foods. You can fry it or toast, or, you can eat it as is, with ginger and soy, as it's already cooked. 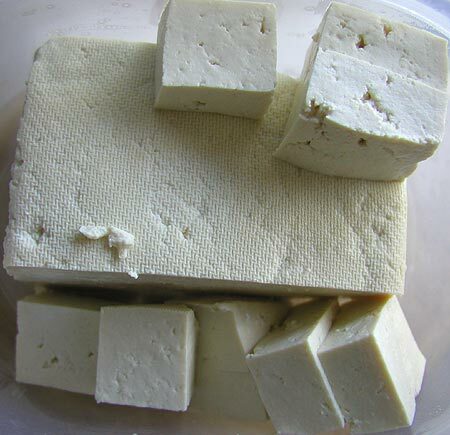 Tofu is good for most sickly people especially those on middle and old age. Gelatin is one of the best foods for hypertension patients. 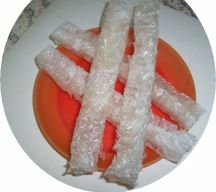 It contains a lot of fibers and ability to reduce cholesterol. No fat and calories to add your body. You can use gelatin for many ways. When cooking rice, drop a piece of gelatin in it. Taste of the rice becomes very fine. Try it. When cooking any kinds of soup, drop one half of gelatin in it. The soup will taste better. When cooking chop suey or curry, drop one whole of gelatin in it. It will taste better. 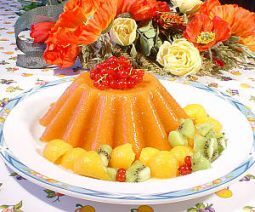 You can also make jelly cakes as seen on the image. Seaweeds are good for health because of its nutritional value such as Vitamins A - Z, iron, calcium, you name it. You can probably find it in seaweeds. Okinawa people's long life is known in the world. More than 70 % of people in Okinawa live above 100 years old and still works in the rice and sugarcane field. Studies done by Japanese scientists tell that the long lives of Okinawans are because of greater amount of seaweeds they eat. Okinawans long life expectancy, published by USA Today. Here's one of what I'm eating everyday on my dinner table. 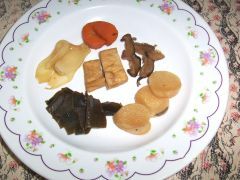 From right to clockwise - radish, seaweed (nori), onion, carrot, mushroom, and fried tofu. At first, soak the cut seaweeds and sliced mushrooms in water for about an hour. Cook for about 15 minutes, and then place the sliced radish, onion, carrot, and fried tofu. For seasoning, add soy, honey, grinded ginger and garlic. Taste extracted from seaweeds and mushrooms are simply fine. You can add some peppers, too. As you know, hypertension is a common problem when we reach middle age. Even doctors who give advises to their patients about what to eat still suffer from hypertension. They know what to eat, but they may not know how to cook and eat. Honey and vinegar are good ones. I myself at the age of 60s practice eating all these foods daily since several years ago to avoid cholesterol contents in the blood. Aside from it, I drink 1 tablespoon each of vinegar and honey, both mixed with hot green tea. I do this in the morning and before I sleep. Since then, I never suffered from high blood pressure. Do it, so that you can believe. Now, with PYRO-ENERGEN, you are free from hundreds of world diseases. 4. "Are You Suffering from Mysterious High Blood Pressure?" 5. "Vinegar for High Blood Pressure or Hypertension"